GET SMITTEN WITH OUR SCENT. Now you can wax poetic at home. Your new go-to travel or anywhere companion. It’s called aromatherapy for a reason. Lift your mood with every breath. Oh, happy day! 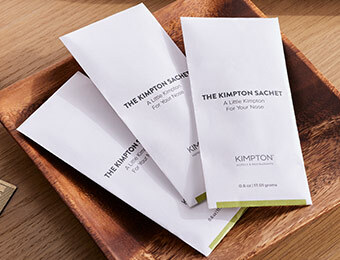 Kimpton guests have fallen under the spell of an aroma that wafts through all our hotels: The Kimpton Scent. We get the obsession. 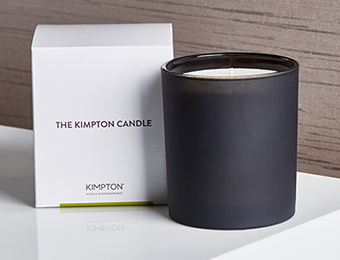 Bright citrus surrenders to notes of green tea, black pepper, spicy clove and sultry musk. Now you can inhale this coveted fragrance at home, thanks to our new scented products.